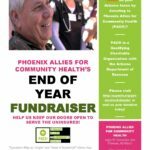 Phoenix Allies for Community Health (PACH) is a nonprofit dedicated to improving health outcomes in marginalized low income communities of working poor who have no access to primary care. The main project of PACH is an volunteer-run free primary care clinic in Phoenix, catering to the uninsured and underserved. PACH relies on donations from community members and volunteers as well as some grant funding to sustain the clinic. We seek to provide care that is more than just a free version of America’s broken health care structure. Since the goal of the project is to improve health outcomes, we at PACH believe that community health education should be a vital component of the clinic, including nutritional counseling, diabetes education, and stress reduction. PACH will continue to work with organizations committed to increasing positive health outcomes, including local faith communities, neighborhood associations, social justice organizations and community outreach organizations such as the local health promoters (promatoras), who serve as an outreach arm into the Spanish speaking community and provide community health education. A vital component of the volunteer base of the PACH Clinic is recruitment of volunteer current and future students of the healthcare professions in the greater Phoenix area. Students serve in patient care roles as well as assisting with the administration of the clinic. All students are guided and mentored by healthcare professionals and professional educators and all receive the added benefits inherent with serving underserved populations. We seek to provide socially conscious care that integrates the best practices of holistic traditions and modern bio­medicine: from acupuncture to dietary education, wellness checks to prescriptions, public advocacy to effective caseworking. We believe our neighbors deserve nothing less. 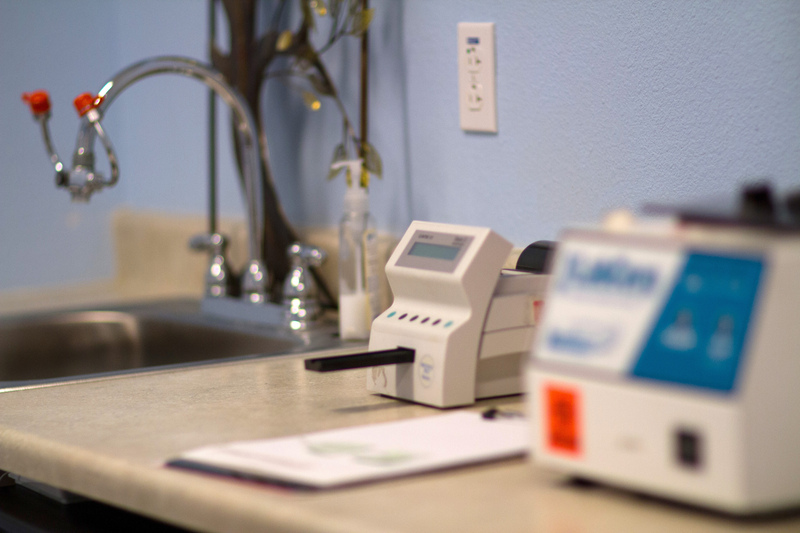 The PACH Clinic primarily treats chronic diseases, such as high blood pressure, diabetes, thyroid dysfunction and high cholesterol. The clinic also provides treatment for minor infections and minor wound care and well person care. The scope of practice is what would normally be seen in a primary care provider’s medical office. The facility is not an urgent care, nor does it provide emergency medical care, such cases that present to the clinic will be sent to hospital emergency room for advanced treatment via 911 call and ambulance. The volunteer health professionals at the clinic includes MDs, naturopathic physicians (ND), Physician Assistants (PA­C), registered nurses (RN), nurse practitioners (NP), medical assistants (MA), Lab technicians, physical therapists, ultrasound technicians, holistic services practitioners, and EMTs as well as other licensed professionals. The PACH Clinic seeks to develop a robust referral network of medical specialists for patients to receive low cost or free specialty care when needed.